Chen Style Tai Chi (Taijiquan) was created in Chenjiagou Village, Wenxian County, Henan Province, China in the late Ming Dynasty, almost 400 years ago, by the 9th generation Chen family member, General Chen Wangtin. Following a decorated military career, General Chen retired to Chenjiagou where he began formulating an internal martial art that incorporated the wisdom of the ancient philosophy of Yin and Yang, with specialized breathing techniques, and a profound understanding of the internal energy meridians “jingluo” used in Traditional Chinese Medicine. Such was its intrinsic power that the art was only passed from master to student in great secrecy and remained hidden for almost 300 years. It was not until the 14th generation of the Chen family (around 120 years ago) that Grandmaster Chen Changxing taught the art to Yang Luchan, a household servant. Yang Luchan (founder of Yang Style Tai Chi) was the first to take the art away from the village and quickly his reputation spread throughout China as an unbeatable master using this fascinating martial art. During the rapid popularization of Yang Style Tai Chi, the Chen Family Style remained within Chenjiagou, the village members being dedicated to the advancement and preservation of all aspects of the tradition, just as their ancestors had done for almost 400 years. 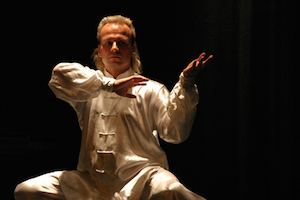 Chen Style Tai Chi has recently made its appearance on the international scene and is fast becoming the most popular form of Tai Chi in the world today. Old and new students alike are beginning to appreciate why generations of the Chen family were determined to maintain their sacred art in its purest form, so that everyone may experience the maximum benefits under their guidance.